Covesting, a copy-trading platform for cryptocurrency market, has announced this week that they have received over 300 applicants so far from professional crypto traders. The Covesting Trading Talents campaign has been taking applicants since October to build a base of professional traders, before the beta launch of their copy-trading platform in Q1 2018. Covesting platform allows everyday investors to search and compare the performance of hundreds of proven crypto currency traders and mirror their trades automatically. It is a mutually beneficial ecosystem where any “street” trader can start a career of a successful asset manager and earn success fees by allowing investors copy his/her trading activity. At the same time, every investor can take advantage of the combined wisdom and experience of traders in order to capitalize in crypto currency market. The platform is being built by a group of ex-bankers from such global banks as Saxo Bank, SEB Bank and JP Morgan-Chase. It’s founders, Tim Voronin and Dmitrij Pruglo are very experienced FX and derivatives traders trying to bring the same technology that boomed in traditional financial markets to the crypto world. The company also feels more confident after securing their deal with TradingView, which is a leading online market analysis platform offering real-time charts and data for financial markets, including cryptocurrency. This collaboration goes well along the company’s vision of creating the biggest database for crypto trading, including knowledge base, practice tools and interaction with expert traders. 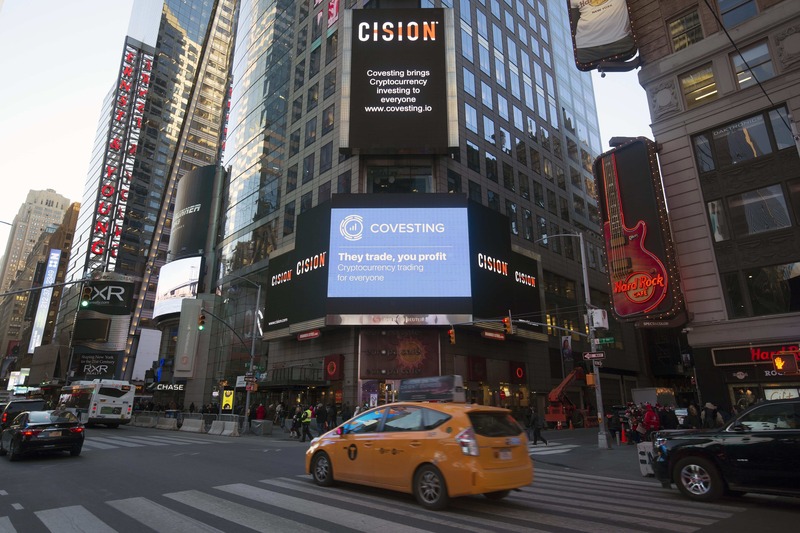 Covesting has recently been featured in news around the world, making waves in the media last week when their logo was featured on the giant Reuter’s TV Screen in Times Square, with the message “Covesting brings Cryptocurrency trading to everyone”. Covesting has gone from a community of under a hundred, to a community of over 13,000 fans on Facebook, and over 4,500 members in their Telegram channel. 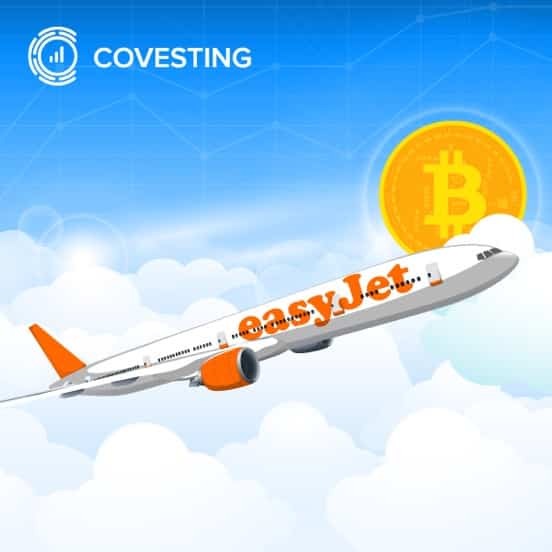 Recently incorporated in Gibraltar, Covesting has also announced this week that they have partnered with Easyjet. The partnership will see Covesting publish a monthly article delivering exciting content and learning opportunities around blockchain and cryptocurrency for the airline’s inflight magazine. Covesting is in the latter stages of its incredibly popular ICO, which has seen over 5,000 investors contribute over $5 million to the platform so far. Innovative platform has been rated by the leading independent ICO rating firm, ICORating. While the Risk factor has been rated as LOW by the agency, they have also awarded Stable+ rating, both of which can reassure the ICO participants about the security of their financial involvement. Covesting project provides the unique opportunity to take part in a crowdsale and benefit from its growth by purchasing Covesting Tokens prior to the beta-version launch of the platform and exchange listing of the COV token. Prospective investors can follow Covesting on social media via Telegram, Facebook, Twitter, or Medium or learn more about their project by accessing their white paper.